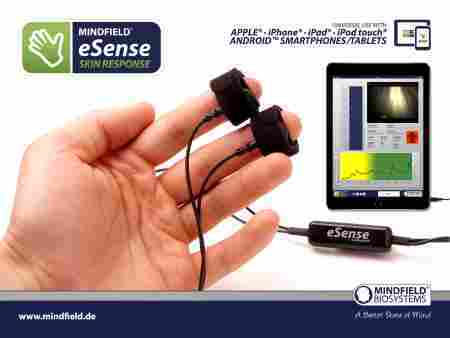 Mindfield Biosystems announces eSense Skin Response and eSense Temperature, the latest biofeedback sensors for smartphones and tablets. Mindfield Biosystems announces eSense Skin Response and eSense Temperature, the latest biofeedback sensors for smartphones and tablets. Both of them determine the acute stress level - the skin response by measuring the skin conductivity and the temperature by measuring the skin temperature. The collected data is then analyzed and visualized by means of a cost-free app. Negative values trigger an immediate Biofeedback response. 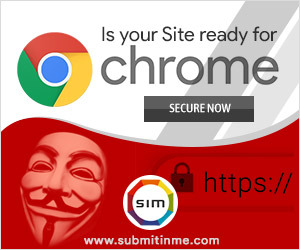 A necessary relaxation session can therefore be initiated in a targeted manner. For the first time, biofeedback sensors draw power from the mobile device, making them very easy to use. Another new feature is the connection of Philips Hue mood lights and smart bulbs for additional stress level visualization. In order to classify the biofeedback training, the eSense App creates a measurement history that maps the progress in stress management and also enables individual measurement comparisons. By regularly checking the load, the reaction to positive and negative values and the resulting training, the vegetative nervous system is conditioned step by step to a more relaxed handling of tensions. In this way, an efficient prevention against overstrain or burnout can take place independently. This is based on constant control through biofeedback. During emotional, physical and mental changes, the sweat glands are activated via the vegetative nervous system. For this reason, the skin conductance is a reliable indicator for recording the emotional state. For the measurement, the skin response sensor is fixed to the index or middle finger. Through the app even the smallest changes become visible, so that you can react directly to increasing tension with anti-stress exercises. Likewise, the skin conductance can be used to test relaxation techniques to identify exercises with the best results. Hectic, stress and nervousness are known to cause cold hands. This is why the eSense Temperature Sensor raises the skin temperature over the fingers as a measured value for increasing to acute stress or for relaxation. When the tension level is slightly increased, hand warming training to promote blood circulation can help. The Mindfield eSense App will also graphically process the recorded measured values - bar graph and oscilloscope - for a quick classification. As an immediate feedback on an increased stress load, an indication is given via vibration, sound or music. You can also play a video that stops automatically if the value is negative. Besides the measurement history in diagram form and the comparison of individual measurements, all data can be transferred via e-mail in Dropbox or Google Drive. From now on, the app can also be connected via WLAN to the Philips Hue mood lights or via Bluetooth to the Magic Blue smart bulb available online from Mindfield. As a result, the desk lamp, for example, glows in a warm light when you relax or in a cold light when you are under stress. The eSense sensors Skin Response and Temperature cost 99 USD each in the U.S. at https://bio-medical.com/home-units.html?manufacturer=532. Included in delivery are Velcro electrodes for fixing the sensors and detailed instructions for effective biofeedback training. The Mindfield Biosystems app is available for free download from the Apple App Store, Google Play Store and Amazon App Store.